More importantly he’s OK with the fact that the players will be the zombies in the game. He inquired and I had no idea why zombies LIKE brains but he didn’t press the matter. 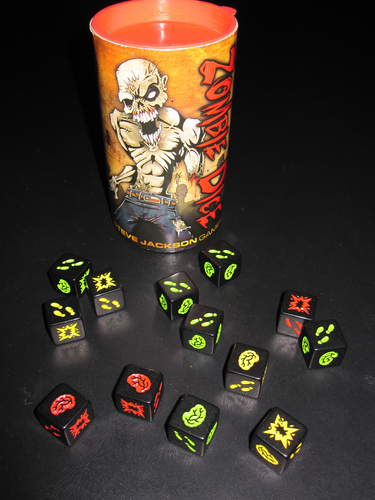 If you haven’t played zombie dice it’s a very simple push your luck filler game. Well worth a look. It’s also out on iOS but that doesn’t capture the whole feel of the dice.